About five thousand years ago, a troop of the ancient Yue people settled down on the sloping fields with hills behind and the sea in front at themiddle and lower reaches of the Oujiang and Feiyun Rivers, and led a life of fishing and hunting combined with primitive farming. At the beginning of the fith centuryBc, the state of Yue founded the Kingdom of Eastern Ou here. In 138 BC, the Kingdom of Eastern Ou was forced to move inland to Lujiang Prefecture in the Huai River valley under the pressure of Prince Yue of the Fujian Kingdom and the Ou people who left behind on the native land gradually merged themselves with the Han culture. With the establishment of the local organs of the Han Government, the district began to come under the jurisdiction of the imperial court. Ou People of Remote Antiquity. The Ou people are a branch of the Baiyue nationality, living on the sloping fields at the foot of the mountain and beside the stream and with the vast ocean in front. Cutting hair short and tattooing bodies, dressed in felt and stripped of left sleeves, they were regarded as barbarians by the people of the Central Plains. However, they kept in contact with the central imperial court of the North and presented the emperor of the Zhou Dynasty with their own special local products fish-skin sheath, fish sauce and sharp sword as gifts. Since it came under the jurisdiction of the imperial court, the eastern Ou district had made great progress in economy and culture. On this stretch of land which was not plentiful in natural resources, the handicraft industry and trade occupied an important position in economic formation and the porcelain making, shipbuilding, spinning and weaving, papermaking and lacquerware process enjoyed high reputation throughout the country. With the development of the “Silk Road of the Sea”, Wenzhou became an important coastal city of business and trade. Under such a background appeared the southern opera the first drama in China, and the “Yongjia School”, which advocates achieving success in pragmatic approach. During the Ming and Qing Dynasties because of the interference of the government in economy, severe ban on maritime trade and invasion and harassing of Japanese pirates, the industry and commerce in Wenzhou became declined and the flourishing culture turned to a lifeless state. In 675, the government of the Tang Dynasty separated out two counties Yongjia and Angu and set up Wenzhou Prefecture. ”Wenzhou” ( warm city) was so called because it was warm all the year round. In the Tang Dynasty Wenzhou had four counties, Yongjia, Angu, Yuecheng and Hengyang, under it`s jurisdiction. As over 1.300 years have passed, the name Wenzhou is still kept in use and the area under it`s jurisdiction also fixed in the main. In the Tang and Song Periods, especially when the royal families of the Song Dynasty crossed over to the South, the population in Wenzhou increased sharply to as many as one million. 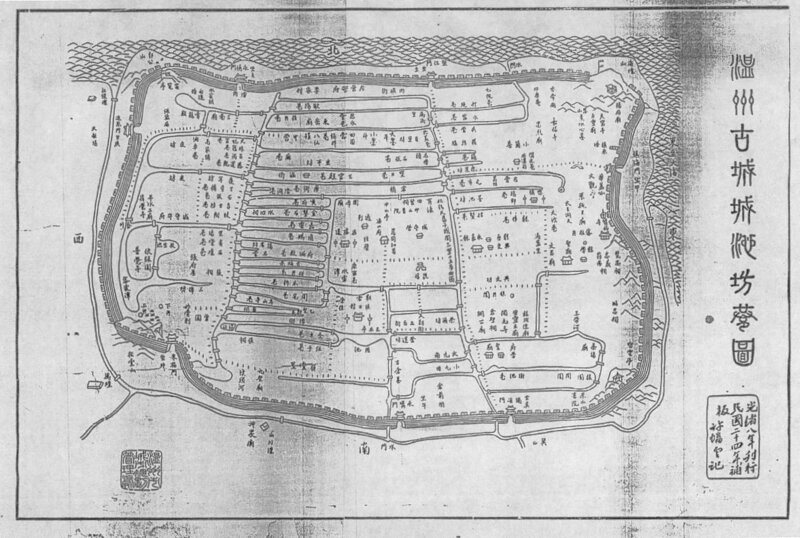 The large population with relatively little land resulted in the great pressure of survival and also brought about the driving force for exploring the way forward, which led the Wenzhou people onto the road for the development of industry and commerce. With superb skills, the Wenzhou engaged in the production of porcelain, ship, textile, paper and lacquerware, creating the nationally known handicrafts and developing the richly characterized civilization in farming and trade and culture for townspeople. The beautiful scenery of Yongjia carries with itself a strong spiritual atmosphere of Buddhism, so that the ancient Wenzhou culture shows a picture of Buddhism coming before Confucianism. The earliest recorded work in Wenzhou is the “Collected Works of Yongjia” written by Monk Xuanjue of the Tang Dynasty. His method of Buddhist meditation, including both instant and gradual realization of truth, produced a significant influence on the Tiantai and Chan sects of Buddhism, and his Buddhist thinking of improving secular life, which has a tint of utilitarianism, gave a great inspiration to the later Yongjia school. Yongjia School is an important independent school in the Confucian Schools of idealist philosophy of the Song Dynasty. With Zhou Xingji, Zhen Boxiong, Xue Jixuan, Chen Fuliang and Ye She as the representatives, it vigorously promotes the down-to-the-earth approach and advocates equal stress on industry and commerce and agriculture. The doctrine, which proposes achieving instant results in work and attaching importance to merchandising, has produced a significant impact on the development of economy and culture in Wenzhou and given a great impetus to such applied subjects as agriculture, medicine, astronomy and military affairs. To some extent, it has created influence throughout the country and even within the whole world. In 1876, after the signing of the Sino-British Treaty of Yantai, Wenzhou was opened up as a trading port. Since then, the imported goods had been ceaselessly poured into Wenzhou and the branches of many foreign companies successively set up here. At the beginning of the twentieth century, Wenzhou had been a costal city inhabited by quite a number of foreign businessmen. The great dumping of foreign commodities accompanied by the cultural invasion stimulated the development of the commodity economy of Wenzhou and made an impact on the ideology of the Wenzhou people as well. Under the new circumstances, the Wenzhou people carried forward the historical tradition of handicraft industry and went in for the intensive production of small commodities, and also some of them left their native place and ventured out into the whole world. The Introduction of Christianity into Wenzhou has not only brought along the Western Culture, but also created the sharp conflict between Chinese and Western culture. A number of missionaries arbitrarily pursued the concept of value in Western culture and even bullied and oppressed the masses in collusion with the local officials. With the deepening of imperialist invasion, the masses finally flew into a great rage against church, resulting in the occurrence of. At the end of the nineteenth century, a number of factories for processing products with machines sprang up in Wenzhou. Following the establishment of the first tea factory in 1893, Wenzhou successively set up the factories of soap making and cloth weaving at the beginning of the twentieth century. After the Revolution of 1911, the mass enthusiasm for running factories was on the upsurge. By the beginning of the thirties Wenzhou began to enter the stage of prosperity in economy. Chen Qiu (1851-1904), born in Ruian, was a successful candidate in the provincial-level imperial examination in the Guangxu Reign of the Qing Dynasty. Chen Qiu, Song Shu and Chen Fuchen were collectively called “three masters in the eastern part of the Oujiang River valley”. He initiated political reform and self-strengthening and proposed establishing parliament, founding factories, developing industry and commerce, building railways and transforming civil service system. He was one of the most distinguished reformists at the time and also one of the founders of Wenzhou Liji Hospital the first modern hospital of traditional Chinese medicine in China. His posthumous work is “Collected Works of Chen Qiu”. Song Shu (1862-1910), born in Pingyang, was acclaimed as prodigy in his childhood. He was one of the distinguished representatives of the reform movement. His posthumous work is “Collected Works of Song Shu”. Chen Fuchen (1859-1917), born in Ruian, had a record of successful candidate in the highest imperial examinations. He was the distinguished educationist, statesman and scholar in China in modern times. During the period of the constitutional reform and modernization, he founded Liji School in Wenzhou. He had been engaged in educational work for a long time and appointed tutor of Yangzhen Private School and professor of Beijing university. In 1909 he was elected president of Zhejiang Consultative Bureau and member of the Parliament after the founding of the Republic of China. His works are “On Commerce”, “General History of China”, An Introduction to Ancient Philosophers”, “Philosophical History of China” and others. The “May 4th Movement” in Beijing spread to Wenzhou. 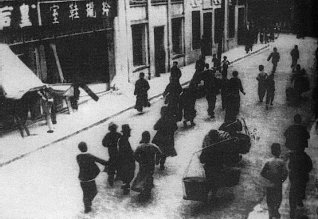 On June 4, 1919, the students of Zhejiang Provincial 10th Middle School, the 10th Normal School, the privately-run Yiwen School and the Senior Commercial School announced strike and held a demonstration, and the people along the road spontaneously launched the campaign of boycotting Japanese goods. The “May 4th Movement” exerted far-reaching influence on the construction of culture in Wenzhou. 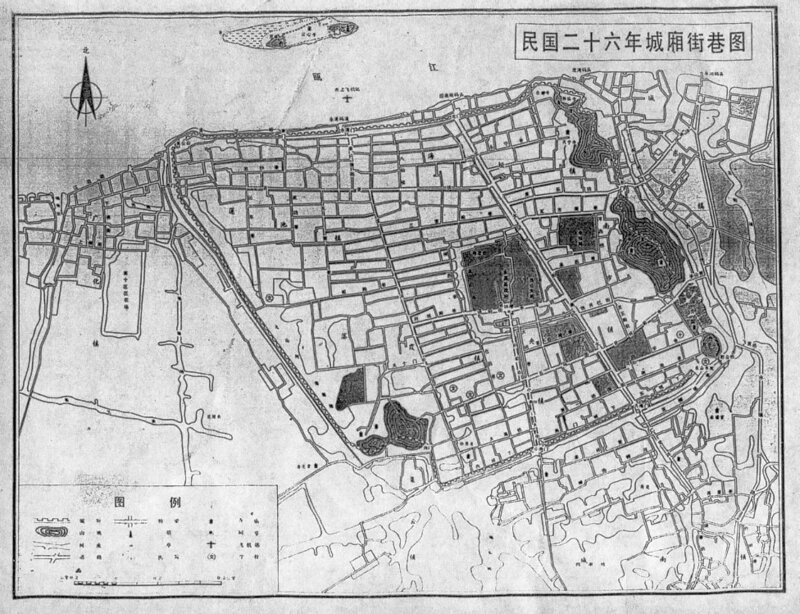 After the July 7 Incident, Wenzhou had been occupied by the Japanese army for three times (in April of 1941, July of 1942 and August of 1944). During the third occupation, the activities of resistance against Japanese aggression began to be organized in Wenzhou. 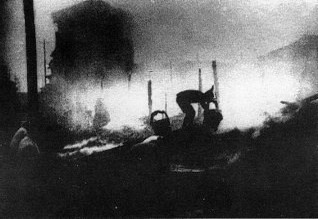 In the period of the War of Liberation, the Wenzhou local Party organization organized and launched the extensive guerrilla war, supported the peasants in the campaign for the reduction of rent and interest and the urban residents and students in the patriotic democratic movement and ushered in the liberation of Wenzhou together with the Wenzhou people.